Betsy Brown Braun is a nationally recognized child development and behavior specialist, a parent educator, and an award-winning author. 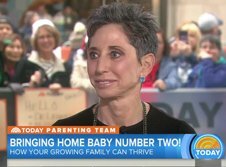 Hailed by the New York Times as a “parenting guru,” Braun’s down-to-earth advice, delivered with humor, is derived from her expertise working with thousands of children (from toddlers to teens) and parents for over four decades. Her sold-out seminars, parenting groups, and educational conferences focus on issues that confront parents daily. Whether Betsy is conducting a seminar or speaking before a group, her hands-on, just give-it-to-me-straight tools help parents gain the skills and confidence they need to handle the sometimes challenging situations that inevitably accompany raising children. You will find a list of Betsy’s current seminar/presentation topics below. Small Talk is Big Talk: Communicating with Children.